Customer satisfaction is on the up-and-up where auto claims processing is concerned – but when it comes to integrating digital claims reporting technology, insurers have some work to do. That’s according to a new study by J.D. Power. Let’s take a look at the highlights. Insurers are doing a great job at handling claims. For a long time now, we’ve been stressing the importance of delivering a positive experience at all customer touch points, and filing a claim has to be the biggest and most important touch point of all. In this department, overall satisfaction is up three points from last year, Power reported, thanks to a five-point improvement at first notice of loss (FNOL). FNOL isn’t the only place where things have gotten better, either. 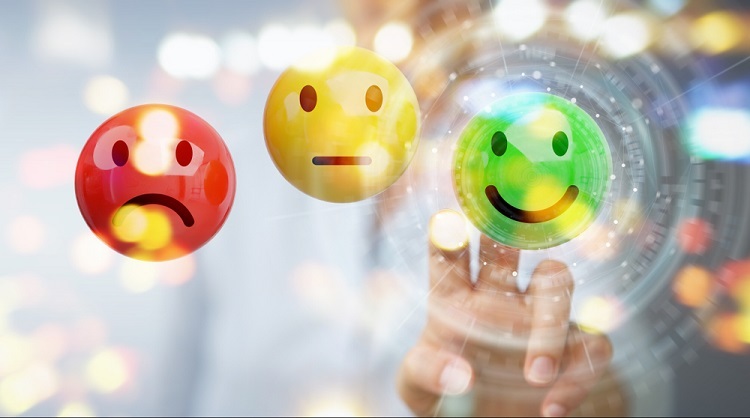 Power noted industry-wide improvement in customer satisfaction, as the gap between outliers (the most satisfied and dissatisfied customers) has shrunk to a mere 70 points. That’s “the smallest that gap has been since the study’s inception,” Powers said. Good work! Now let’s look at the not-so-good. Insurers aren’t taking advantage of tech at FNOL, for starters. Utilization here is just 11 percent. And even though customers are using tech more now than they were five years ago, only 65 percent of claimants have been given a digital status update, and most of those who did were still receiving offline updates as well. Of course, at the end of the day, satisfaction is what matters, not the utilization of any particular tool. If customers are thrilled despite low tech utilization, fine and good. But there’s reason to believe that satisfaction would be higher if insurers were taking fuller advantage of the technology available. Given that customers are voluntarily integrating tech into other aspects of their lives, it stands to reason they’d be happier with a clean, convenient, digital experience from FNOL on. That’s where the data gets sticky. When insurers do offer a digital experience, it’s not clean and convenient – quite the opposite: “FNOL satisfaction is lower among customers who submit their claim digitally than among those who report via offline channels,” Power said. So customers are thirsty for tech, but when they’re able to use it at FNOL, they end up mad. That points to a problem on the provider’s end. One more point to bring to bear: don’t get caught napping where mobile is concerned. “The use of mobile apps in the estimation process, which allows claimants to submit photos or videos of their damaged vehicle directly to their insurer, is growing in popularity,” Power said. Forty-two percent of claimants are using mobile in this way, and their satisfaction scores are markedly higher than those of claimants who don’t. When mobile photo and video submittal is not an option, satisfaction is a good 29 points lower. 1. There’s an untapped opportunity to integrate digital FNOL. Utilization of digital FNOL is low; customer interest in digital experiences elsewhere is high. Insurers, take note. 2. The digital FNOL experiences that insurers do offer need to get better, fast. Maybe customers are happier reporting offline because of the human connection involved – or maybe the digital experience that insurers are delivering is just that bad. 3. Letting claimants submit photo and video via mobile is a must. If you want to spike satisfaction – and who doesn’t? – giving your customers a mobile channel is an imperative. It’s one thing to say you should be integrating technology better; quite another to make it happen. That’s where Silvervine comes in. Talk to us about building a policy administration system that positions you to do it all, and we can have you up and running in as little as 90 days. Request a demo.